Best Essential Oils and Homemade Recipes! Looking for the best essential oils? Discover quick tips and essential oil blends! Learn how the term “natural” differs from “fragrance” oils. Find essential oil uses with homemade recipes: household, skin care and home crafts. Learn how to use essential oils. - Never use large amounts external or internally. - Never use EO's straight. - Always dilute EO's in carrier oil, soap, lotion or other buffering agent. - Never use without knowing what their bioactive compounds can do. Essential oils are potent chemicals with bioactive ingredients. Their natural chemicals interact with biological systems. Research the safety of essential oils before use. Example, some essential oils can be irritating to skin. Some essential oils are toxic. Those with fragrance allergies can be allergic to essential oils too. Know what fragrances blend well together. Use high quality essential oils. The best essential oils are ones used with care. Essential oils are highly concentrated oils of a plant. They carry a distinctive fragrance or "essence" from the object from which they were extracted; plant, leaves, flower or peel. Examples of EO's are: lavender, peppermint, chamomile, melaleuca, sage, citrus, rose, patchouli and many more. CLOVE - Bergamot, Citronella, Grapefruit, Lavender, Lemon, Orange, Peppermint, Rosemary, Yiang Yiang or Vetiver. There is controversy regarding the best essential oils. Essential oils are labeled “natural” or “fragrance”. Distinguish the difference between them. Natural essential oils are derived from nature. They are not artificially or synthetically produced in a laboratory. Chemicals are not added to make its natural fragrance. However, there are several methods of extracting essential oils, some of which do use chemical solvents in the process. Many of these oils are still labeled “natural” or “pure”. Natural essential oils are, generally, considered more gentle when used appropriately in personal care products. Natural essential oils are, generally, more costly than fragrance oils. Prices fluctuate due to crop conditions or availability. 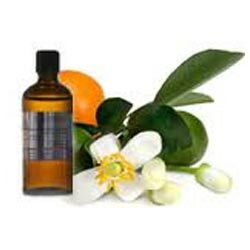 Fragrance essential oils are synthetically made in laboratories. They allow perfumers to produce new scents unknown to nature. They are not as volatile as natural essential oils. The FDA does not consider synthetic fragrance oils a health risk due to the small amount that contact human skin. It only takes a small amount of fragrance oil to make a large batch of product. Synthetic fragrance oils are found in many products at bath and body stores, on the commercial market. They’re, generally, less expensive than natural essential oils. Their prices are mostly steady and reasonable. If you’re not sure whether a product has natural or fragrance essential oils, look at the ingredient label. If you see mostly unpronounceable words, chances are the product is made with synthetic ingredients. EO's have been used for treatments and remedies through history. Within recent decades, their popularity has revived with alternative medicine, aromatherapy. Aromatherapy proposes that healing effects are due to aromatic compounds in EO's and other plant extracts. Studies claim aromatherapy has an uplifting effect on the mind, body and spirit. Learn how essential oils are used for household, skin care and home crafts. Find homemade recipes! There are many essential oil uses!